The story of Xerox highlights the need for business acumen, because Xerox was responsible for an impressive number of critical technological advances that are now standard office equipment, but failed to control those valuable assets in a way that permitted the company to stay in the vanguard of its field. Consider what Xerox produced: first xerographic printer to run automatically (used to print copies from microfilm), first desktop copier followed by a color version, high-speed copier with document processing features like a collator, fax machine (which was, and is, nothing other than a copier receiving print jobs by phone), laser printer, and many similar products. What Xerox produced in the line of computer devices is even more outstanding: the first graphical user interface, WYSIWYG text editor, and Ethernet network (plus networking protocol, of course), which it used in-house to support a network of its own personal computers (a model called Alto) in 1973. 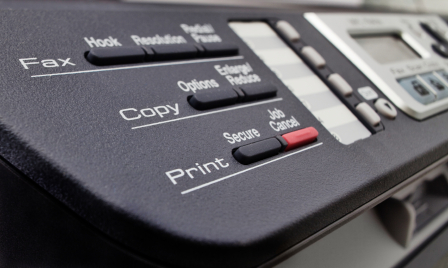 So why did Xerox not, having proved the feasibility and utility of the office PC network, develop that knowledge into a commercially saleable product? If Xerox had done so, they would have had the only PC on the market much earlier than any other company, and they would at the very least have maintained their hold on the hardware market much longer. But somehow Xerox, despite its matchless collection of engineers, failed to see the Alto’s potential and loosed its hold on the technology in a series of deals with Steve Jobs, who wanted to examine their inventions and buy the Alto GUI. That spectacular loss, coupled with the Federal Trade Commission’s decision to charge Xerox with violations of antitrust law in 1973, dealt the company a blow from which it never recovered and forced it to surrender its market leadership. Xerox focuses on expanding the presence of minorities in its technical positions. Its philanthropic arm, the Xerox Foundation, gives grants directly to schools to encourage minority students to choose hardware and software engineering studies and finish their degrees as scientists and engineers. The foundation also hands out the Xerox Technical Minority Scholarships (125 awards in 2012), and if you’re enrolled in a technical degree program you may qualify to receive one. Applicants may be undergraduates or graduate students. The Xerox Fellowship Program at MIT is funded by a grant from Xerox, which pays for the research of selected master’s and doctoral students, mostly women and minorities. Each Xerox Fellow works not only with an MIT faculty advisor but also with a Xerox engineer, and the combination of classroom and practical experience with people at the top of the profession is a remarkable opportunity for any engineering student. Research subjects are set by Xerox, and moving into a career at Xerox thereafter would be a natural choice. Xerox purchased Affiliated Computer Services (ACS) in 2010, and ACS has its own scholarship effort, which it funds through its partnership with the Winners for Life Foundation. Winners for Life works with at-risk teenagers, and gives the scholarships to individual schools and other organizations, which then choose among the applicants. You will have to locate those scholarships by contacting the intermediaries. For example, one of these scholarships goes to the American Indian College Fund. The award is for $2,000 and the minimum GPA is 2.0. Applicants should be financially disadvantaged and highly motivated to succeed.